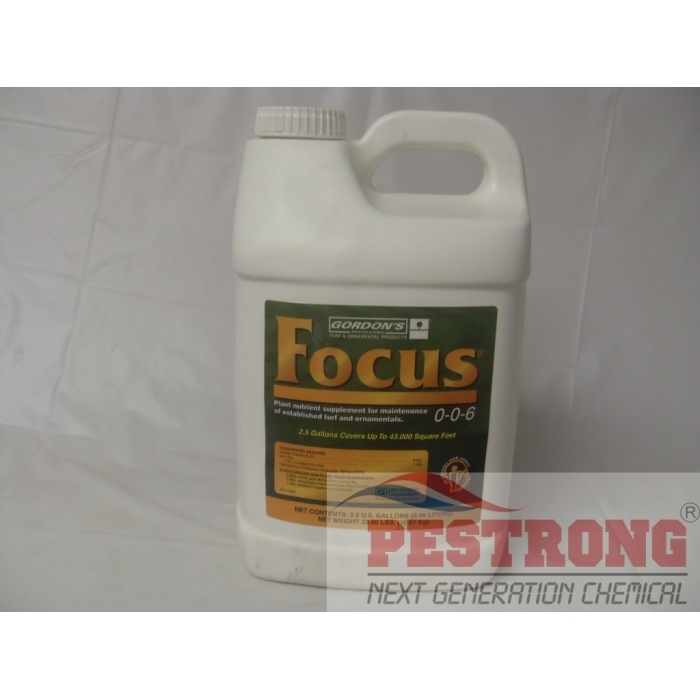 Where to Buy Focus 0-0-6, Focus 0-0-6 Plant Nutrient Humic Acid BioStimulant - 2.5 Gal - $154.95 for Sale with Fast Free Shipping! Focus 0-0-6 Plant Nutrient Humic Acid BioStimulant - 2.5 Gal provides maximum benefit to ornamental and turf by reducing stress from intensive mowing, heat, flooding, shade, wear and drought. Focus 0-0-6 includes non-plant food ingredients, cold water sea plant extract and humic acids. These ingredients are combined with chelated iron and an improved surfactant for superior soil penetration. Wonderful product, there was a section of my lawn the grass was just not growing like the rest of the lawn and made my front lawn look pretty bad, but now it's growing fine!